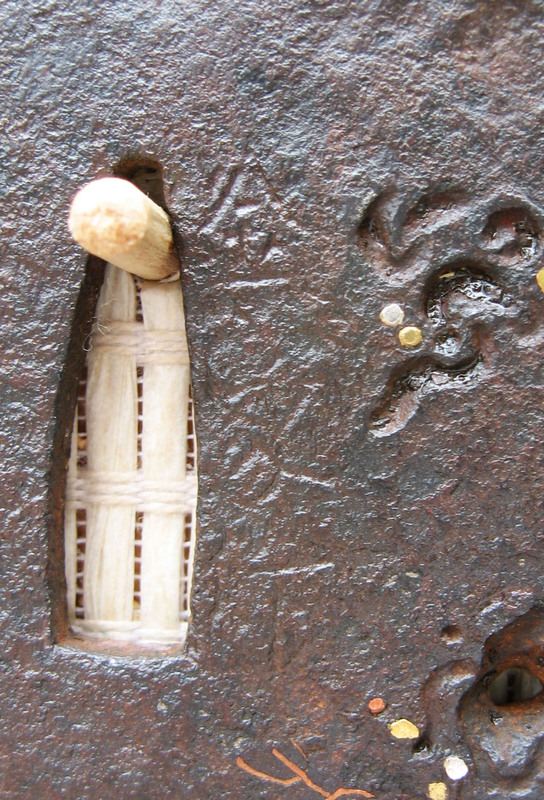 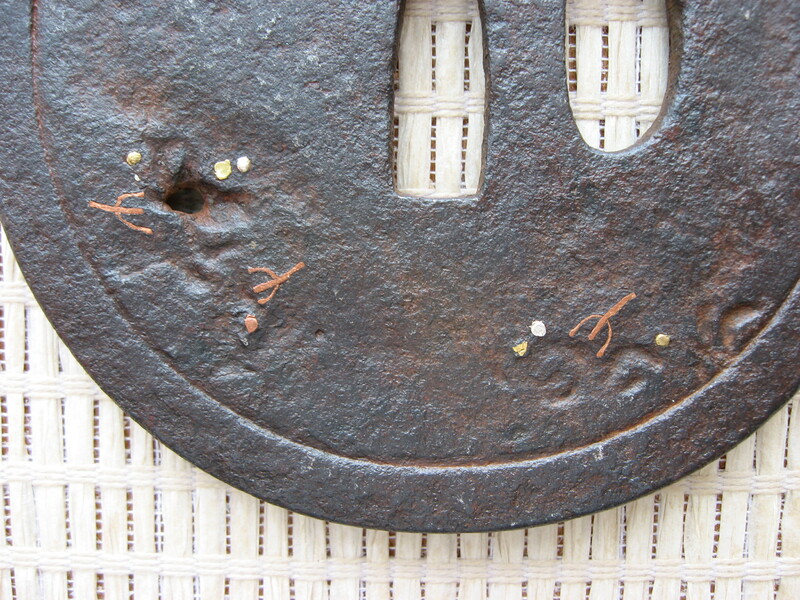 Iron round (maru-gata) tsuba with one very small sukashi and few punch work and carvings representing 'tide pools'. 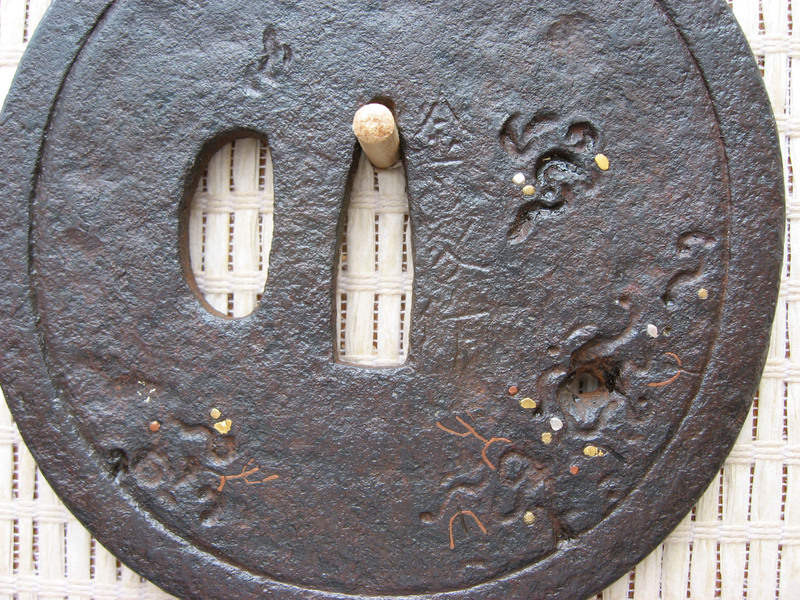 The silver and brass ten zogan and fine copper inlay represent kelp, seaweed and other vegetation found on the shoreline of Japan. 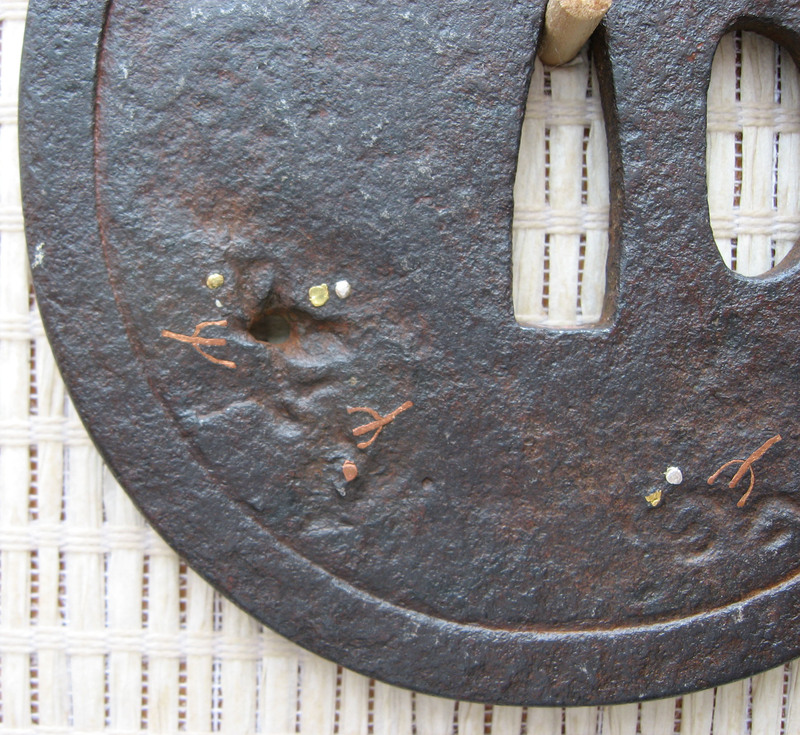 Subtle tekkotsu appears on the rim. 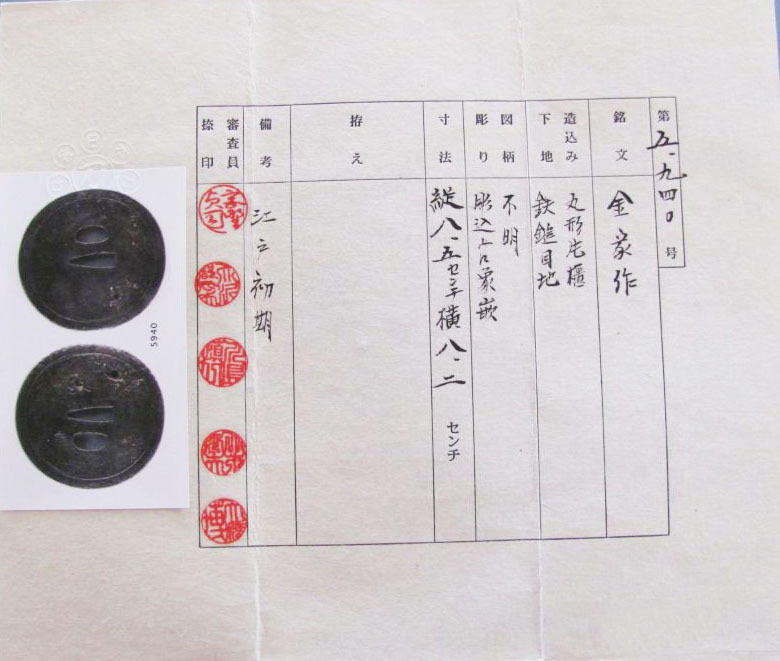 This signature has less than twelve known examples. 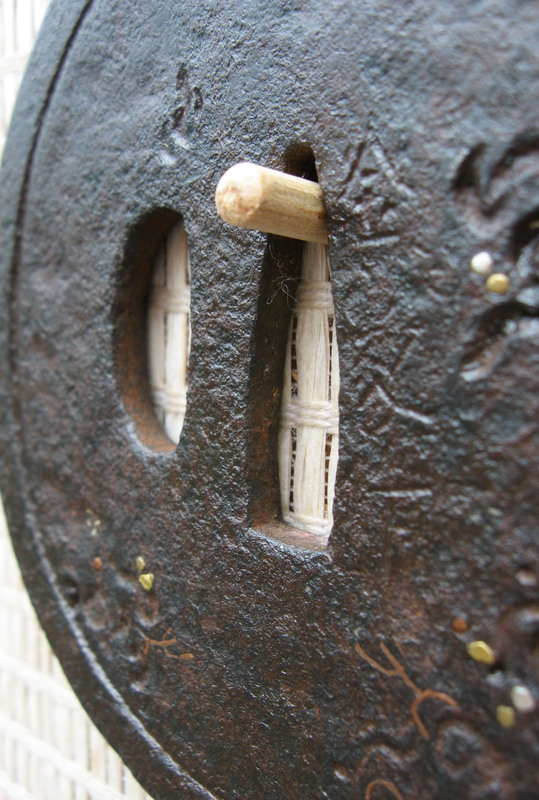 In the Tsuba Taikan (Kawaguchi Noboru) there are listed nine generations. 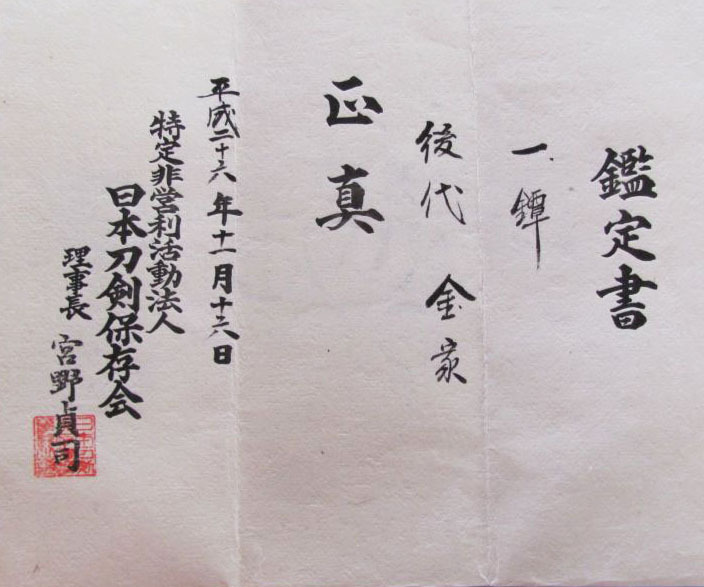 Kawaguchi illustrates and details the 4th (Tenmon, 1532) as signing Kaneiye Saku, and working in the styles sukashi, tosho, and katchushi. 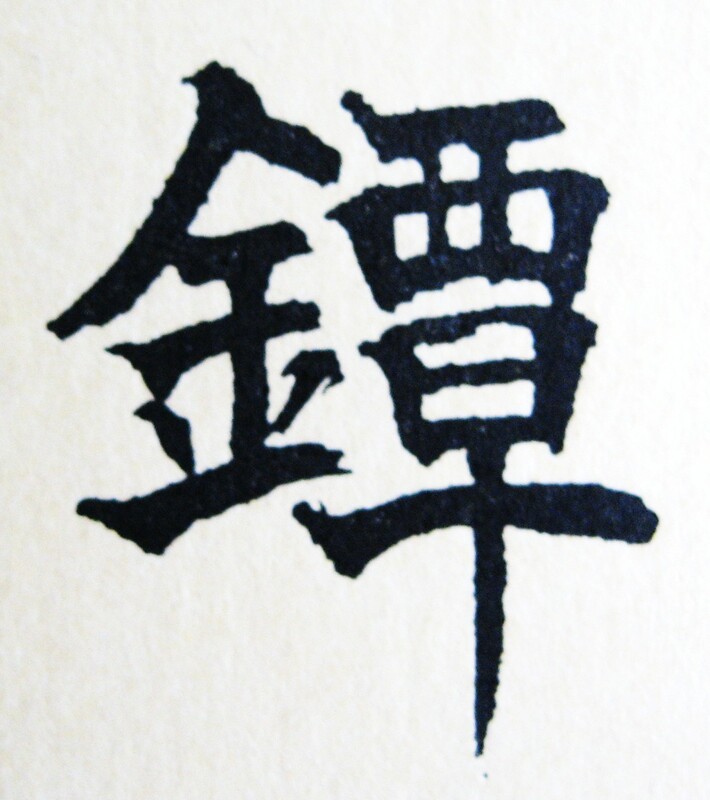 There are several visual similarities in both mei. 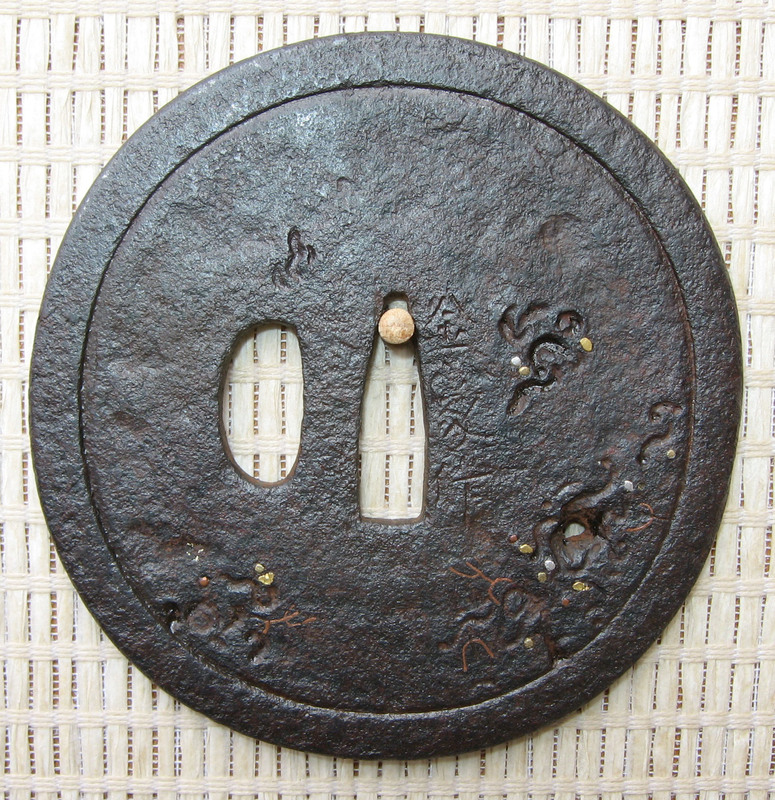 This tsuba accompanied with origami issued in Japan in 2014, by the NTHK-NPO. 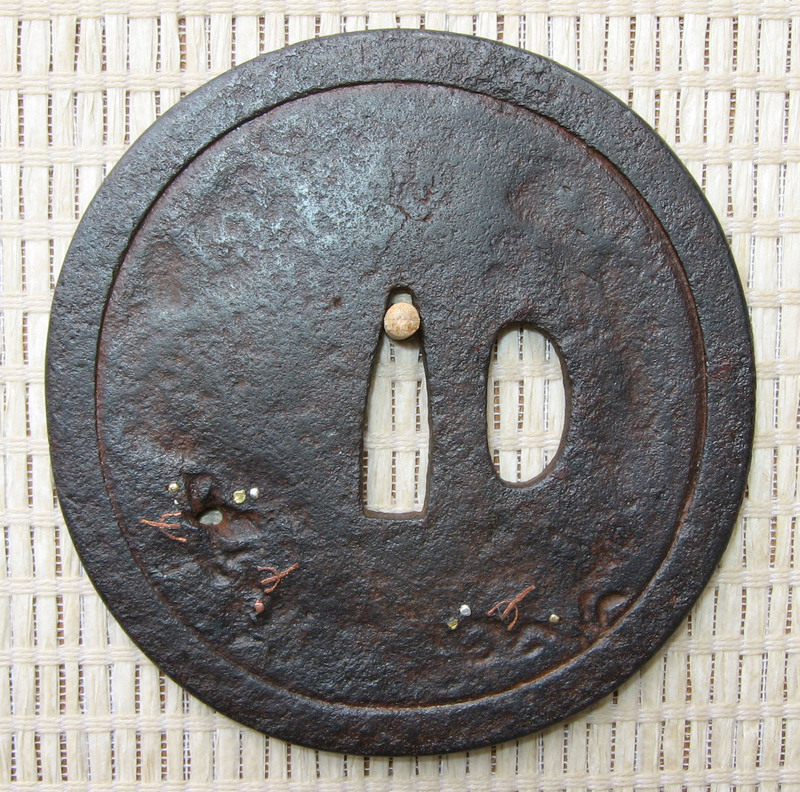 The paper attributes this excellant tsuba to 'Kaneiye Saku' and 'Edo Shoki' (early Edo).